Palms @ Sixth Avenue is an innovative freehold cluster house type property which is formerly known as Dynasty Garden Court 1 basically situated at the anticipating Sixth Avenue, Bukit Timah enclave, District 10 of Singapore. 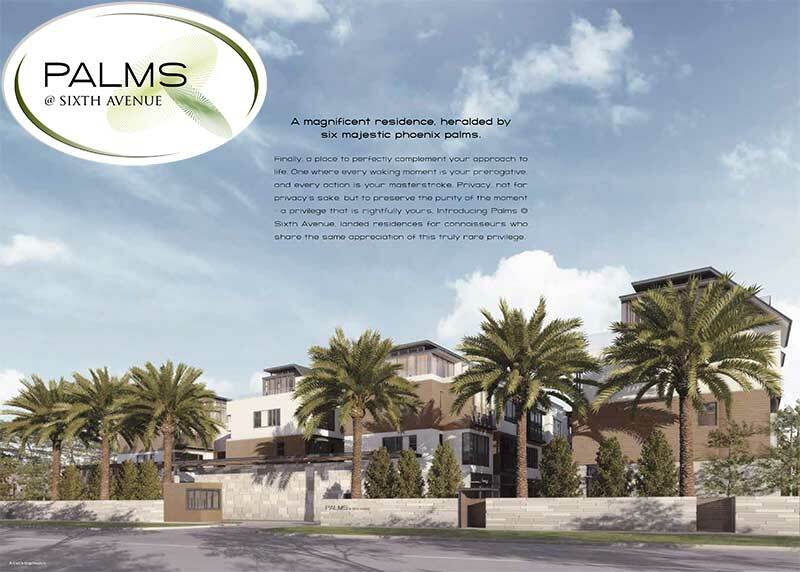 Palms @ Sixth Avenue features a land area of 69,107 sqft. TOP expected to be in 2015. Palms @ Sixth Avenue is particularly planned with a family concept in mind where all amenities and facilities can hold the demands of all member of the family. Each residential units are equipped with top quality furnishings and well designed construction to combine luxury and class in one. Beautifully highly-developed by the reputable MCL Land, Palms @ Sixth Avenue is finely crafted with a stunning contemporary innovation, as sense by the impact of fine features like elusive walls of glass and elegant kitchen and bath. All unit of Palms @ Sixth Avenue is cautiously planned to create the maximum effective designs and usable place, loaded selective with the most elegant quality fittings and furnishes from famed brands. Unlimited selections of entertainment and life-style are approximate the Palms cluster house. A ten minutes driving will carry the residents to the Orchard Road, where primary shopping centers and restaurants are within easy access. Future residents of Palms @ Sixth Avenue can move the close Holland Village for eating and supermarket, or lead to the Cold Storage at Bukit Timah for everyday groceries. For other kinds of amusement, feel free to attain the hip Dempsey Hill near for chilling out and dining, or travel to the Botanical Garden nearby for a passive break from busy work. Travelling is certainly a snap for home owners of Palms @ Sixth Avenue. They are in nearby to Holland Road, taking them to places like Marina Bay Waterfront, Central Business District, and Orchard Road all just a short distance away. Leading expressways such as PIE and CTE are nearby and public buses can be seen on the Bukit Timah Road. Residents of Palms at Sixth Avenue can have even a better accessibility with the coming Sixth Avenue MRT built-up just a short walk away. For families with school going children who are looking for an idyllic house, all these schools are settled within 2 kilometres distance away from Palms @ Sixth Avenue include Hwa Chong International School (HCIS), Nanyang Girls’ School, Henry Park Primary School, Raffles Girls’ Primary School, St. Margaret Secondary School, ER International School, Canadian International School (Secondary), Singapore Polytechnic, Ngee Ann Polytechnic, Singapore Institute of Management, Pei Hwa Presbytarian Primary School, Swiss School. See http://www.propertylaunch.biz/2013/09/palms-sixth-avenue.html for additional information or talk to the marketing staff at 6100 0877 for questions. For more information on Future Projects, visit Property Launch Singapore.